These days privacy is an issue no organisation can afford to ignore. Failing to securely handle sensitive customer documents can be a disaster, leading not only to highly damaging publicity but potentially serious legal consequences. the entity must take such steps as are reasonable in the circumstances to destroy the information or to ensure that the information is de‑identified. 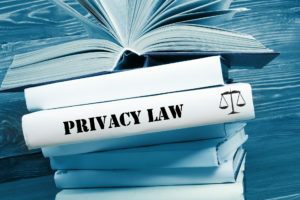 While most businesses with a turnover under $3 million dollars are currently exempt from the APA, to protect themselves all organisations who collect sensitive private data should follow the regulations laid down in the Act. A trusted and experienced document destruction specialist like Australian Document Shredding Service can take the worry out of document destruction and help keep you and your customers safe from the consequences of sensitive data going astray. Your security is our top priority. Our lockable 240 litre security bins are delivered direct to your premises. When they are ready to be picked up, either on a one-off basis or as part of a scheduled service, bins are taken by secure transport to one of our approved sites. By a process of comprehensive shredding followed by recycling, all data is totally erased. You also have the peace of mind of knowing that all of our staff involved in document destruction have been cleared to a minimum of a National Police Record Check. Contact us today on 1800 001 008 and let us tailor a cost-effective document-destruction solution for your business.